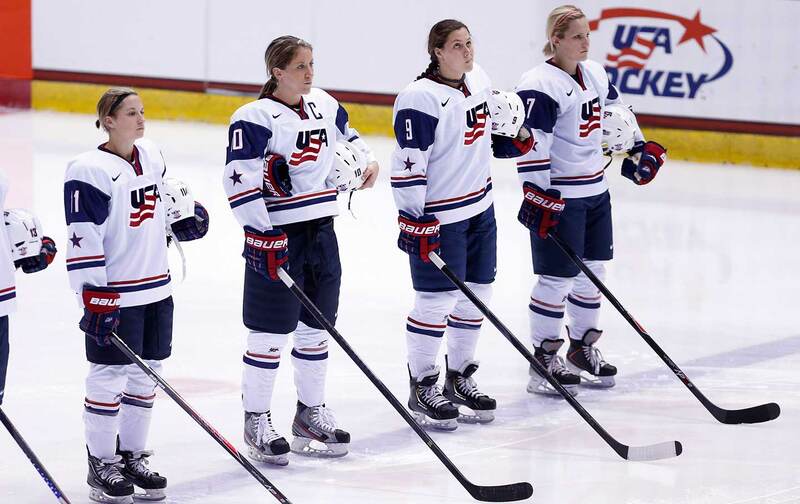 The disrespect visited upon the US women’s national hockey team has been a cascade of contempt so incessant, it seems designed just to provide writing fodder for Rebecca Solnit. It’s not just the $20,000 in stipend pay for every four years of work. It’s not just the absence of equitable support for issues as basic as travel accommodations and food. It’s not just the fact that this team has cleared every bar for success, winning silver in the 2010 and 2014 Olympics along with six world championships, and are still treated like an afterthought by USA Hockey.